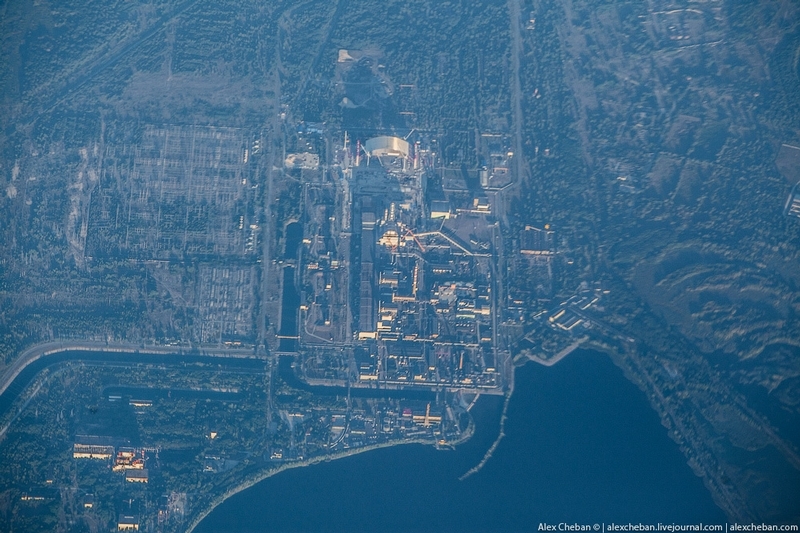 We have published a lot of posts about Chernobyl and Pripyat but never saw the exclusion zone from the height. 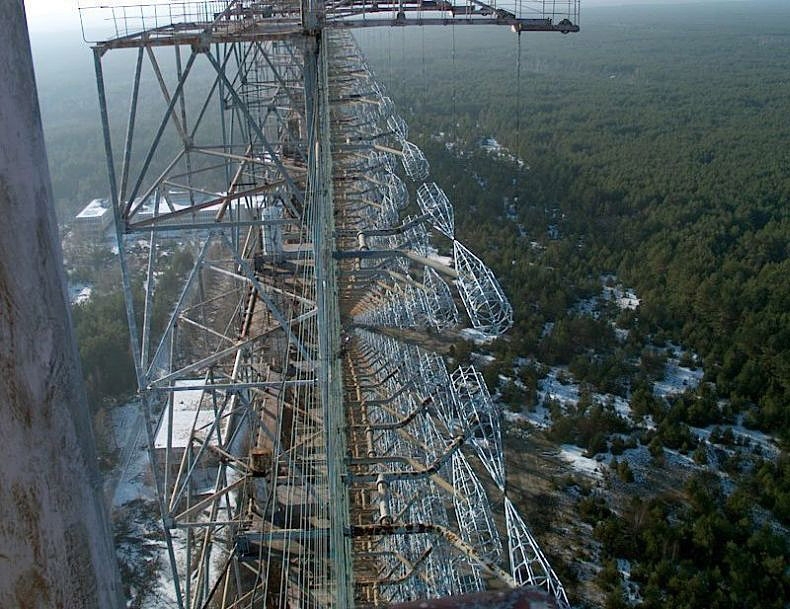 How do they look from the height of ten thousand meters? 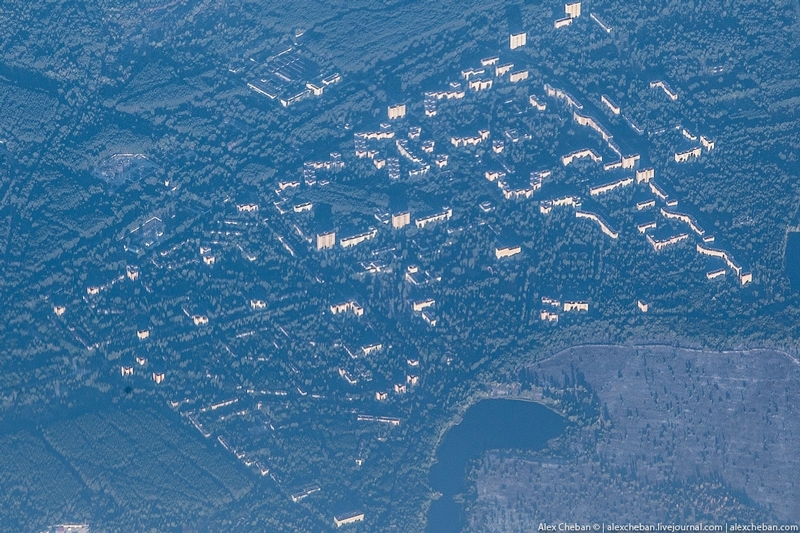 The city where life stopped in the 80s is slowly getting swallowed by the woods today. 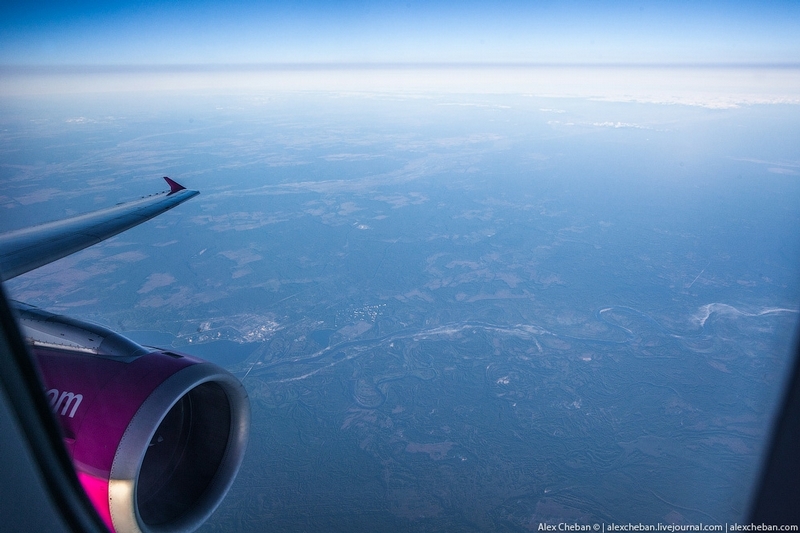 Join us and fly over the zone right now. 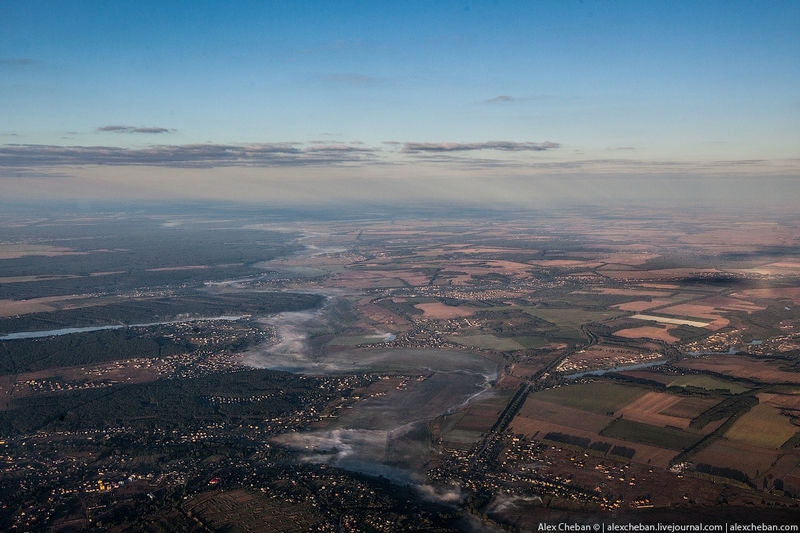 Morning fogs over the Kiev region. 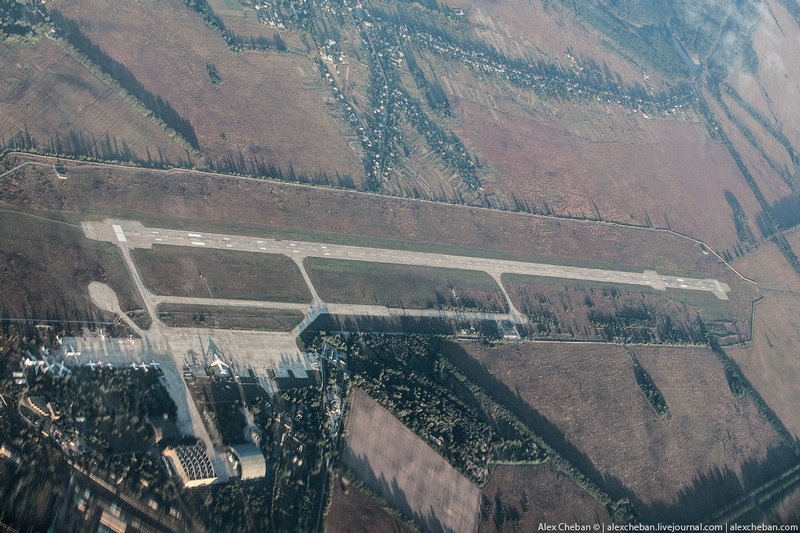 Gostomel airfield, the main airport of the world biggest aircraft An-225 “Mriya”. 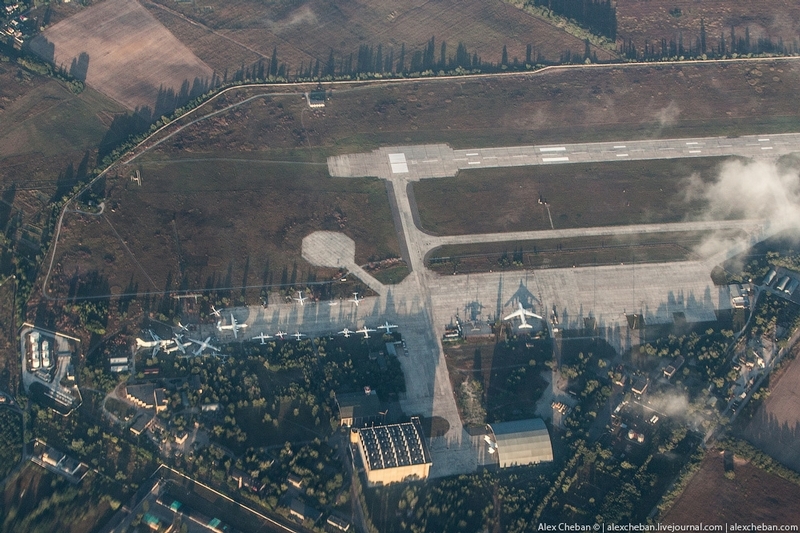 Big planes – An-124 “Ruslan”, “Mriya” is standing in the hangar to the right. You can see its tail on the picture above. 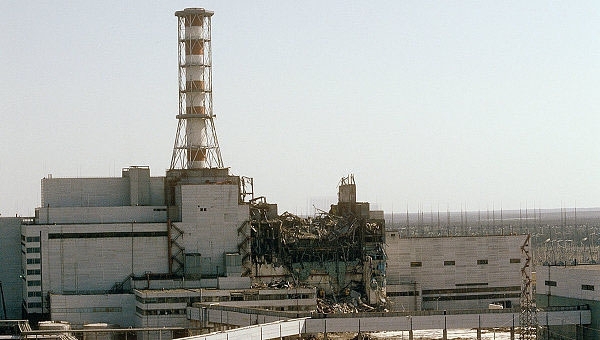 This object is called “Chernobyl-2”. Twenty seven years ago it was an absolutely secret object. 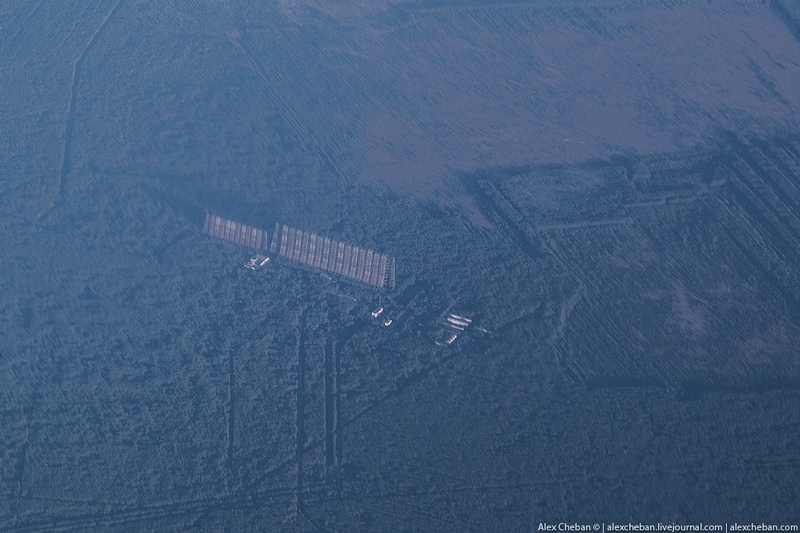 It allowed to follow ground targets over Europe and not only, detect launches of a potential enemy in North America. 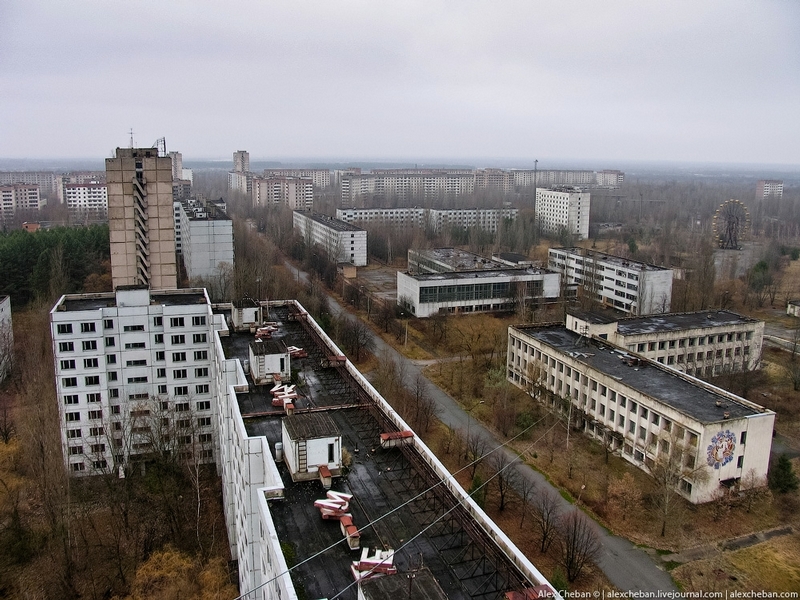 The complex was called “Duga-1”. 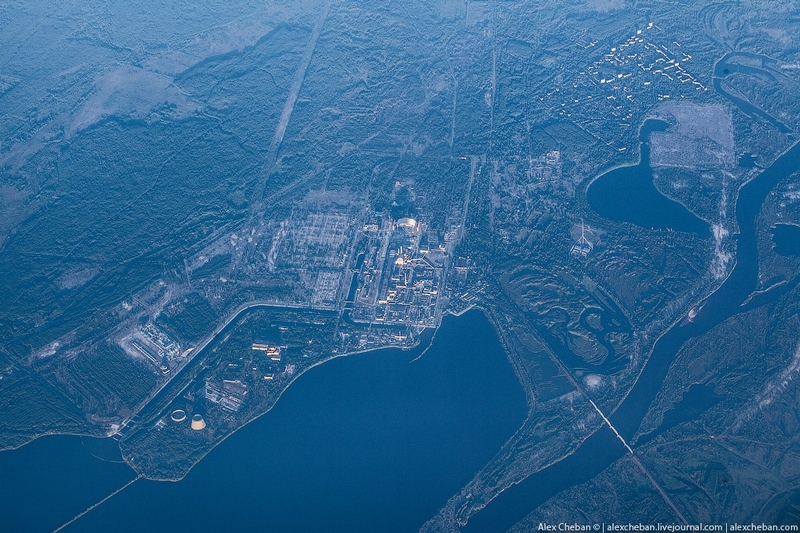 The first complex like this was built in 1975 in Komsomolsk-on-Amur, Russia. 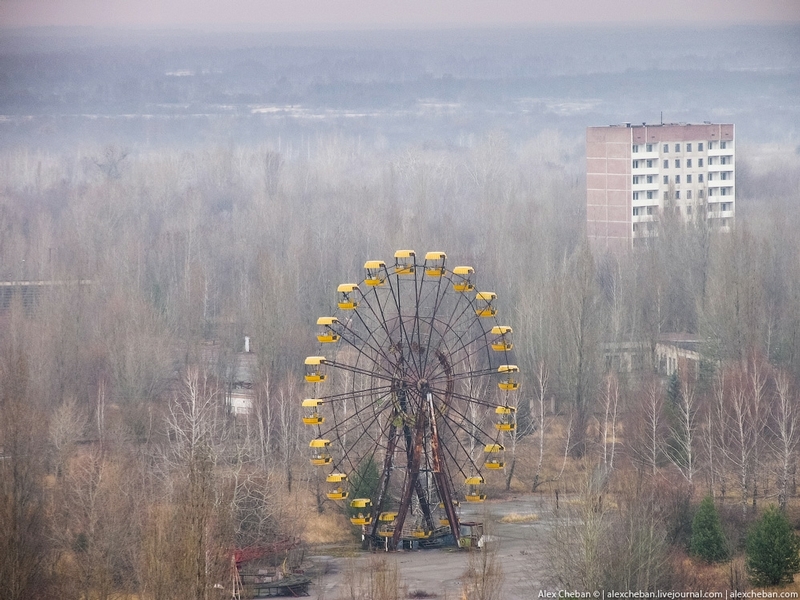 It was first activated in Chernobyl-2 in 1980. 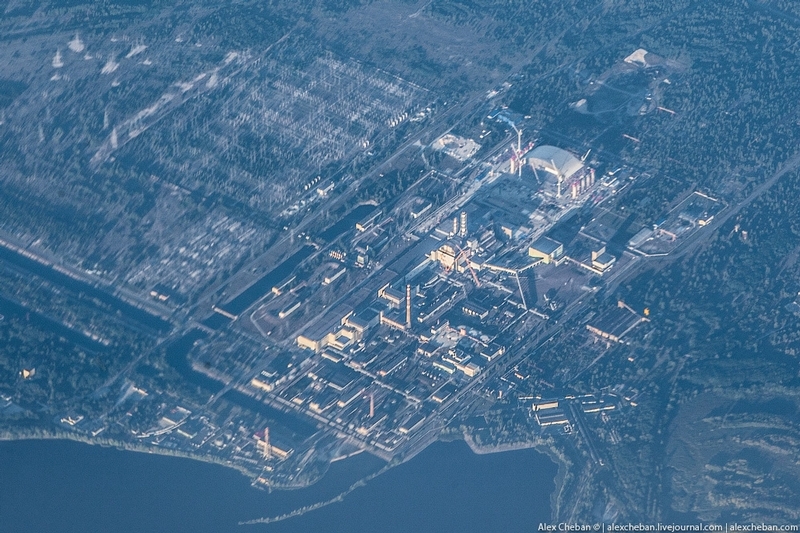 According to some data there was invested seven billion rubles (two times more expensive than the construction of the Chernobyl NPP). 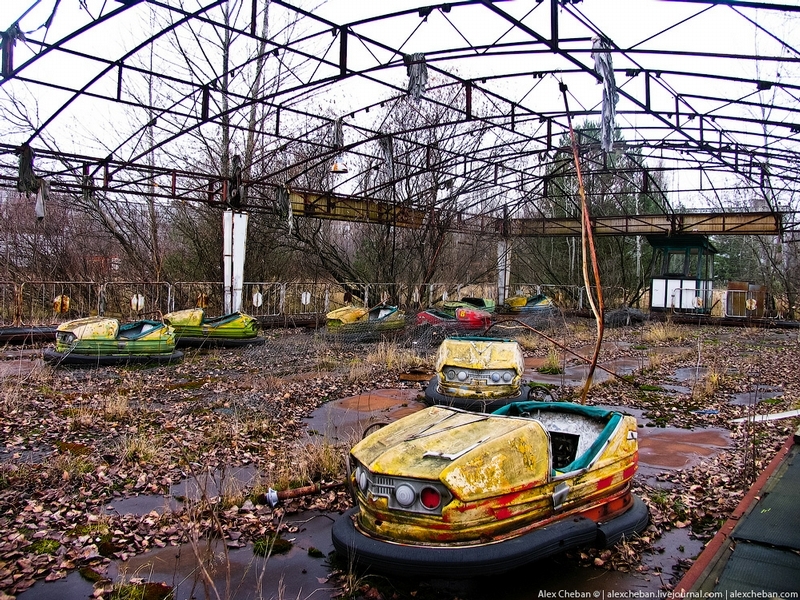 There was built a garrison not far from Chernobyl where militarymen and their families used to live. 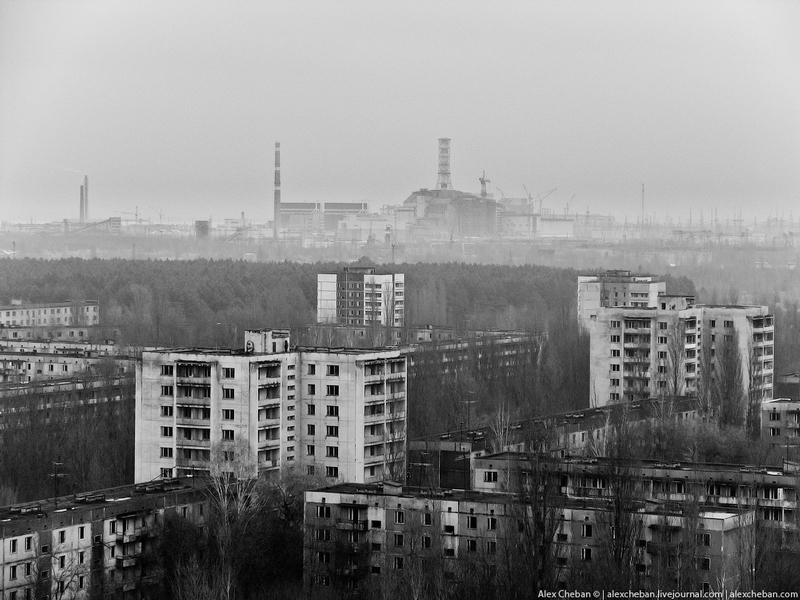 The infrastructure of the city Chernobyl-2 did not happen in a moment – it had been closed until 1987. 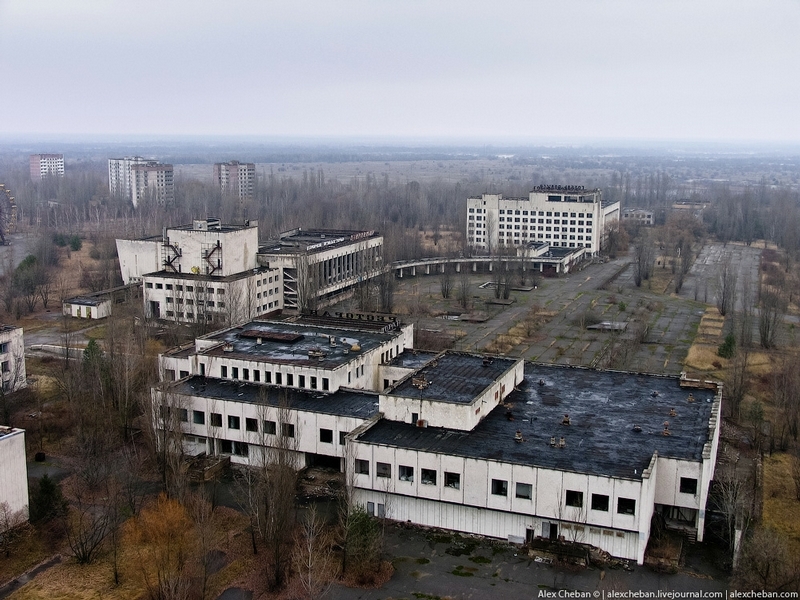 Then it became clear it could not be used anymore in the exclusion zone. 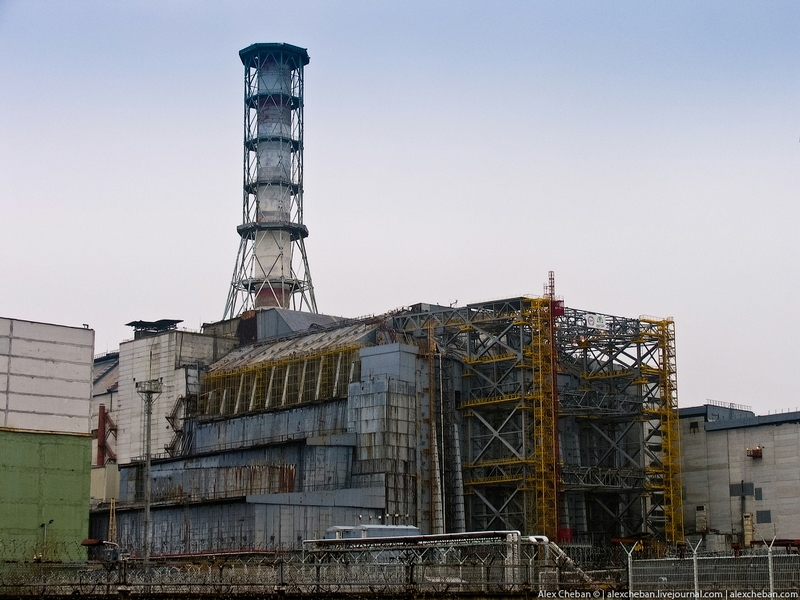 The main units were dismantled and taken to Komsomolsk-on-Amur. 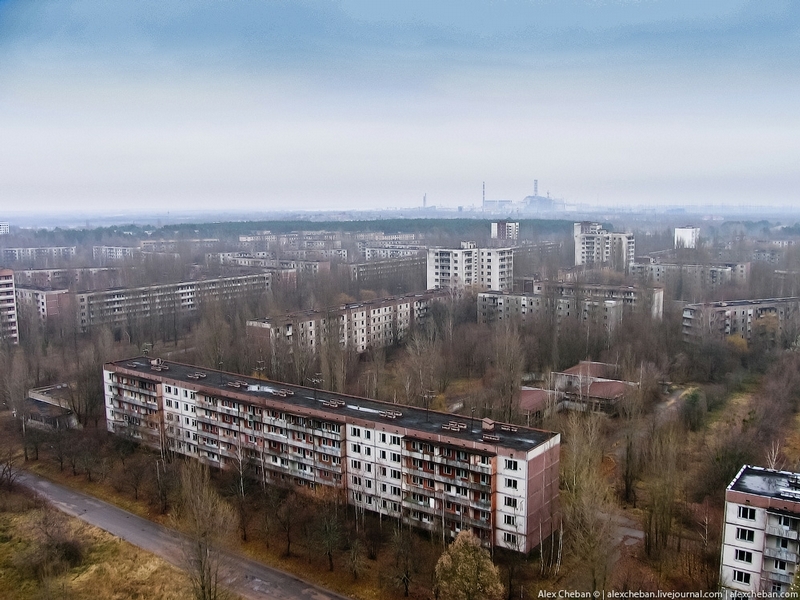 Five Ukrainian base-jumpers jumped from the station in 2012 for the first time. 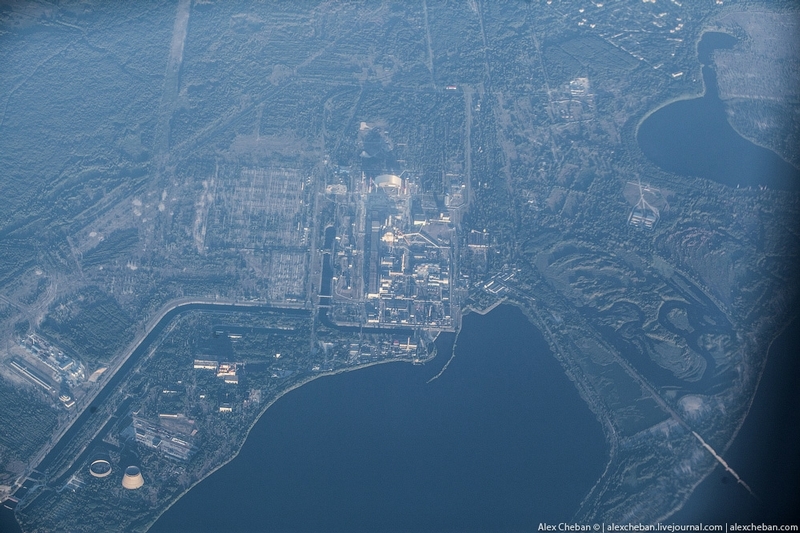 Chernobyl NPP and Pripyat – some kilometres between them. 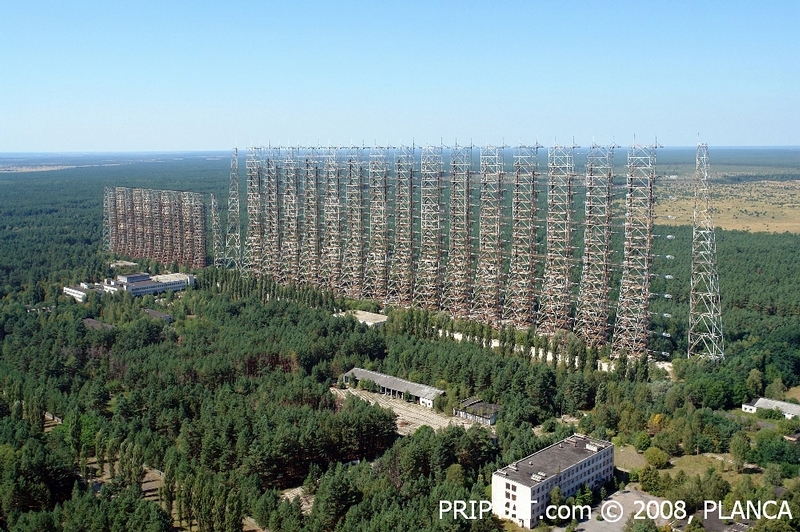 “The Red” forest is over the NPP. 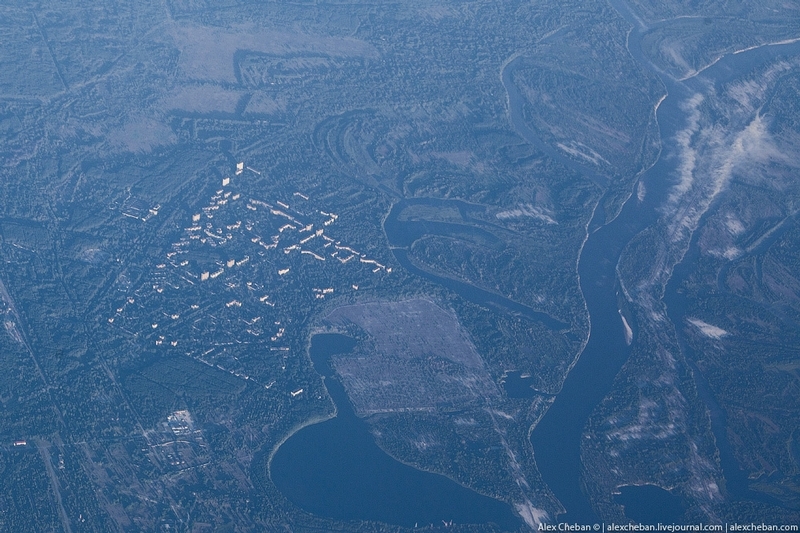 Its area is about 4,5 thousand hectares. The forth unit after the accident. 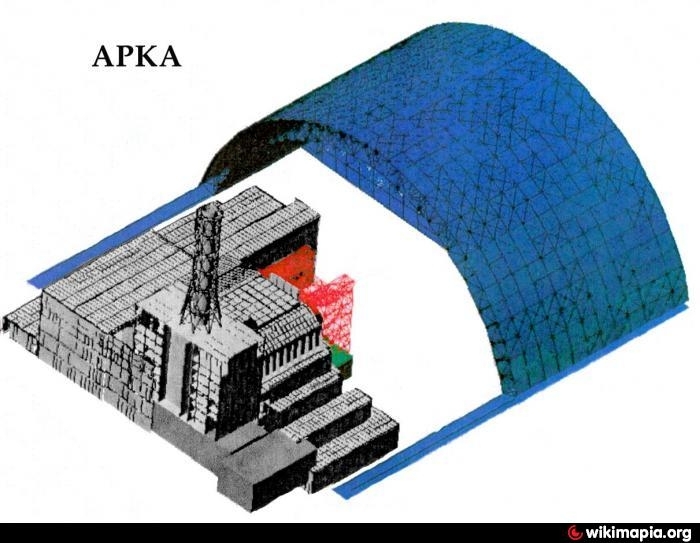 The forth power unit of the NPP and the initial sarcophagus over it. 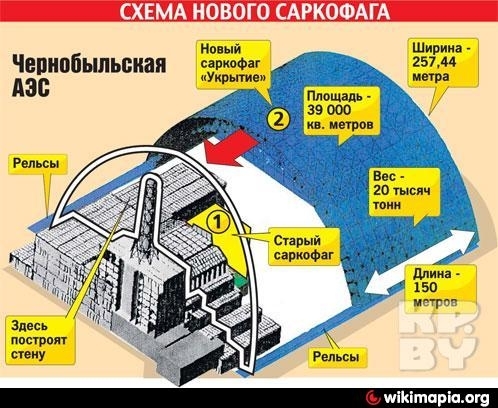 They spent 400 thousand m2 of mixed concrete and 7000 tons of metalware to build it. The object was being built fast – it was ready in 206 days. 90 thousand were involved. Today they are trying to turn the sarcophagus which may collapse in any moment into an ecologically safe system. The works are planned to be completed in 2015. 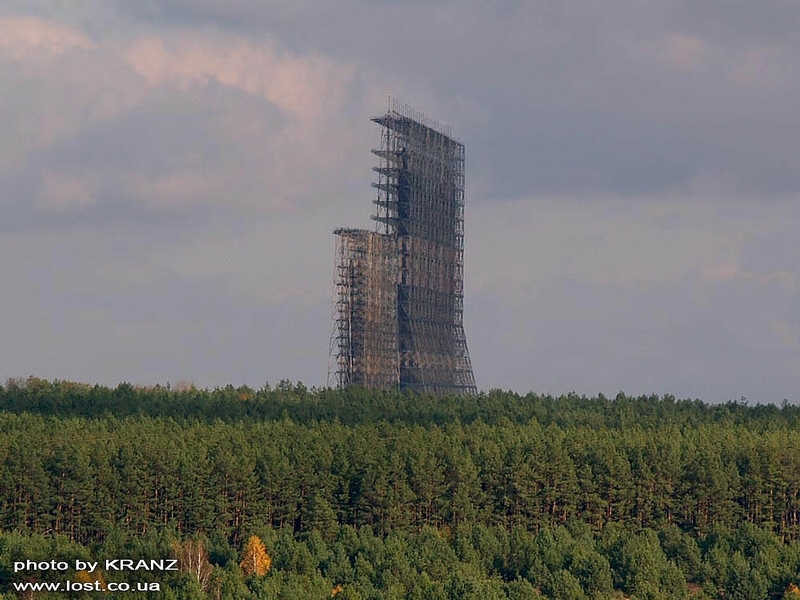 The new object will represent a solid steel structure 108 meters high and 150 meters long, it will have a technological building and auxiliary facilities. The scheme of the new sarcophagus. The NPP is not so far. 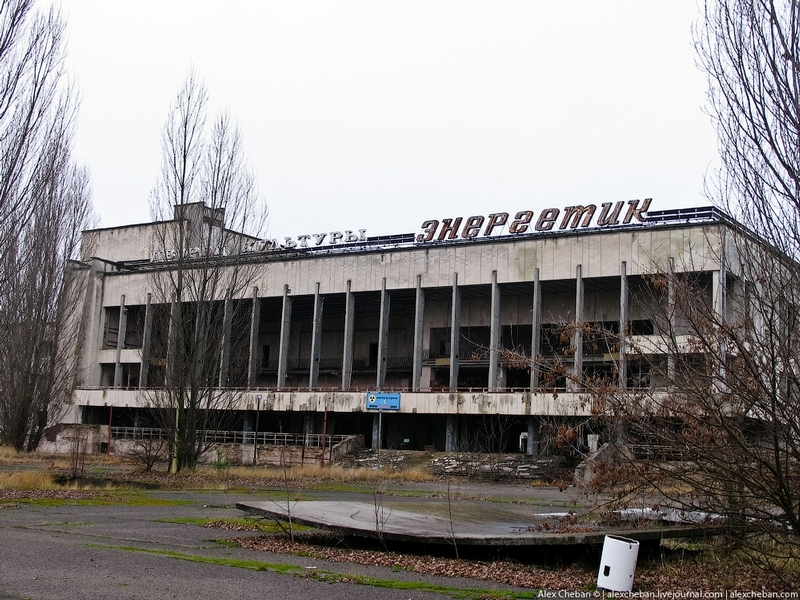 The House of Culture “Energetic”. 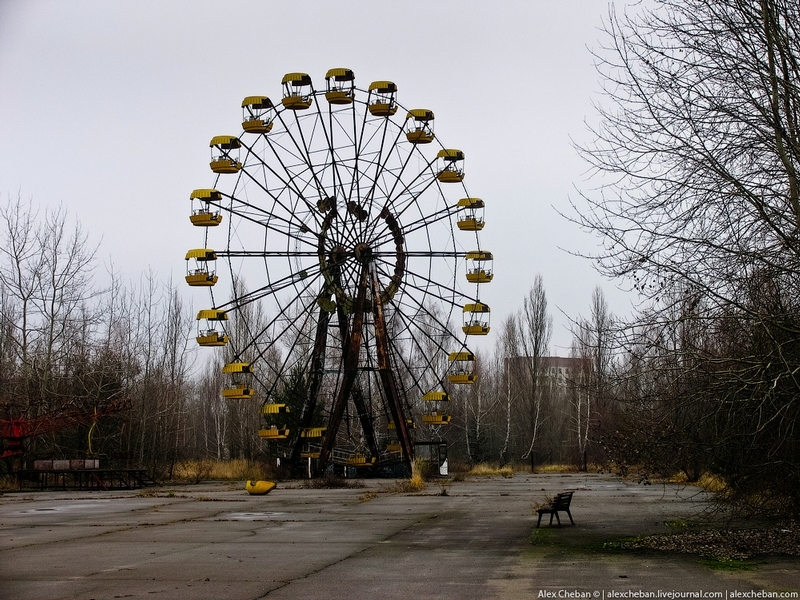 And the famous ferris wheel.